ed. note: Rhythm USA will now be utilizing all Australian Designed Product. Wanna see their latest product offerings? Here are the lookbooks for Spring 2013 + Girls Spring 2013 (and, there is also a printable lookbook). Rhythm USA is very pleased to announce Josh Barrett as their new General Manager. Josh has 9 years direct experience with Rhythm in Australia and is now managing both the Australian and North American businesses. 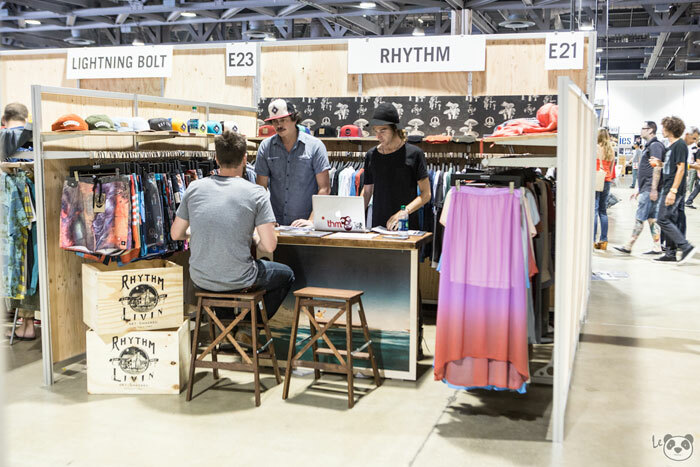 “After a last minute decision to exhibit at the Agenda tradeshow in Long Beach California last week, we are very optimistic that our first real launch of the Australian line has come at precisely the right time”. Both the Mens and Women’s line will be designed and directed from Australia and backed up with a Global marketing plan. Michael Darr (ex Quicksilver USA Key Account Executive) will be heading the sales team. This change in management, combined with the Australian product will be key to fast tracking our growth in North America.